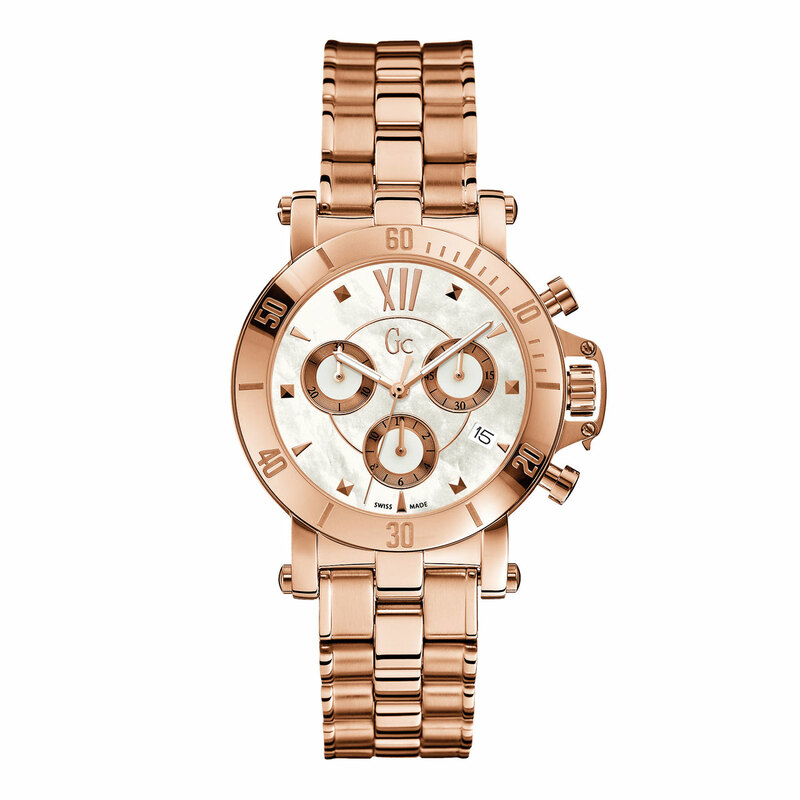 Radiant, glamorous, full of life… this lady's sports-chic chrono will certainly be turning heads this year. Who could fail to notice its all-over rose gold livery? The case and bracelet in stainless steel embellished with a rose gold PVD treatment perfectly sets off the dial whose mother-of-pearl has been tinted in the same ultra-feminine rose-gold hue. Further the distinguishing clip-down crown-protector detail provides a decisive character to this sophisticated timepiece for the multi-facetted woman of today.